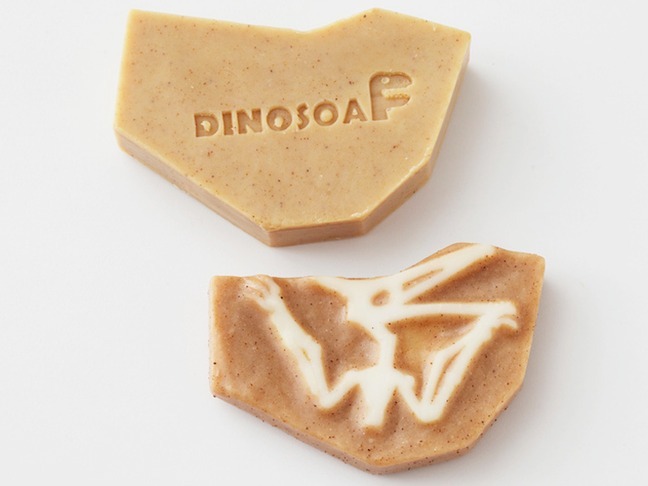 Dinosoap turns daily washing into the experience of fossil excavation. 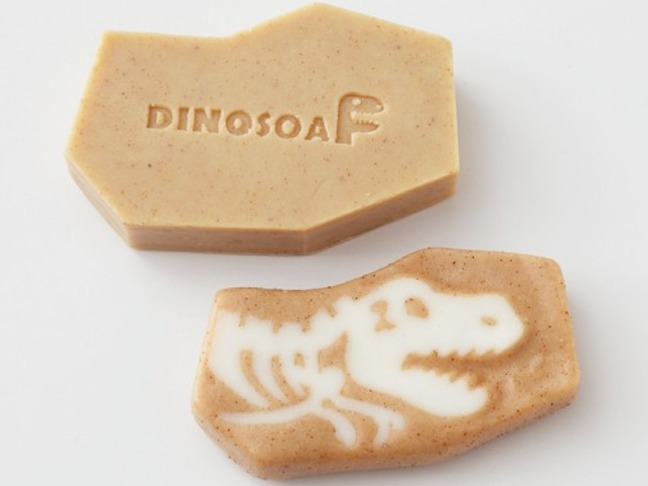 These soap bars slowly dissolve to reveal the image of a dinosaur skeleton underneath. 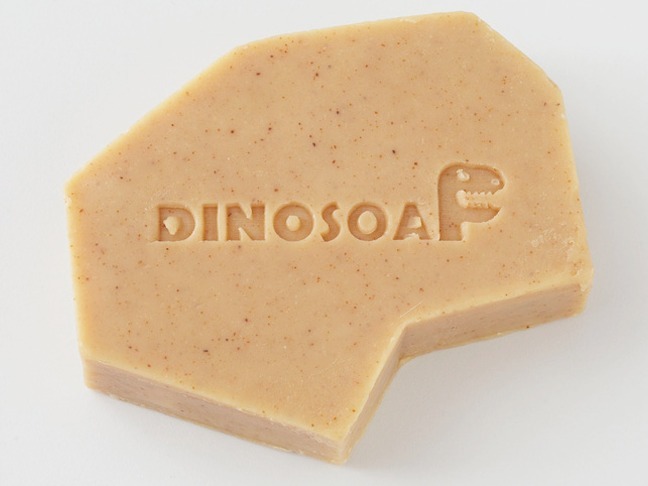 Before use, Dinosoap appears to be an ordinary rock. Midway through use, a fossil begins to appear. 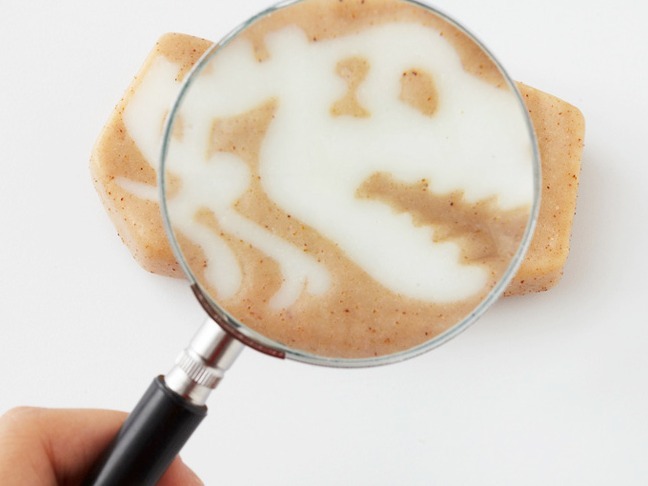 The soaps reveal their miniature fossils after two to three months of normal use. 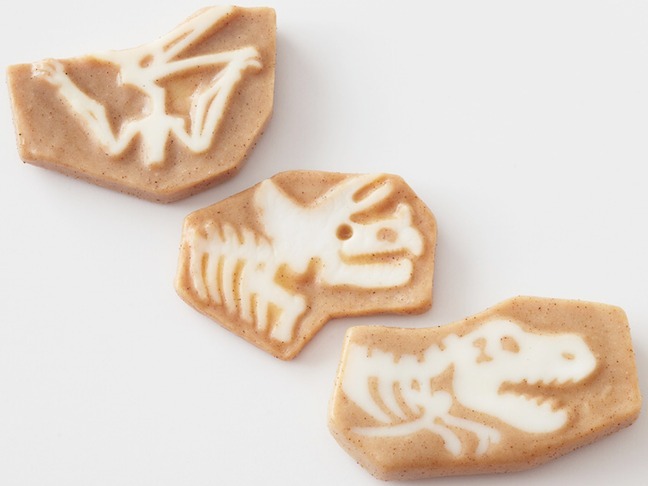 The soaps feature three different fossil designs: tyrannosaurus, triceratops, and pterodactyl. The soaps are composed of apricot kernels and other natural ingredients that give them a sand-like appearance. Available for $13 each at 25togo. Rachel Faucett designs children clothes and runs Handmade Charlotte, a blog about design and vintage for children. She lives on a farm just outside of Atlanta with her husband and their five children. Handmade Charlotte began with a few bolts of vintage fabric and a string of late nights making clothes for her daughters Isabella and Charlotte after everyone had gone to bed. Rachel had been selling antiques at the markets for several years with a strong focus on items for children and moving into clothing was a natural progression.